Put your best foot forward in a pair of these Danner Men's 14222 Black Gritstone 8-Inch Waterproof Alloy Toe EH Work Boots. This premium men's waterproof footwear is crafted to provide you with the utmost comfort and protection you desire. In addition to durable wa ... (see full details) (see specifications) #14222. Put your best foot forward in a pair of these Danner Men's 14222 Black Gritstone 8-Inch Waterproof Alloy Toe EH Work Boots. This premium men's waterproof footwear is crafted to provide you with the utmost comfort and protection you desire. In addition to durable waterproof protection, these Danner boots also feature electrical hazard coverage, as well as alloy toes to guard your feet from workplace hazards. Crafted with waterproof full-grain leather uppers, these black boots are designed to be exceptionally durable.These rugged uppers also provide you protection against Mother Nature's mood swings. In addition, they're also constructed with Danner’s own Dry waterproof protection. This system is crafted to keep your feet cool and comfortable all day long and even into the night for those days when you have to work some overtime hours. Speaking of premium comfort, this waterproof men's footwear also features exceptional Cushioning Ortholite footbeds. These soft footbeds provide you with support and all-around comfort. In addition, these black EH Gritstone boots are designed with handcrafted, stitchdown construction for added strength and stability. This men's black footwear is also constructed to weigh 76 ounces, so they won’t slow you down on the job. 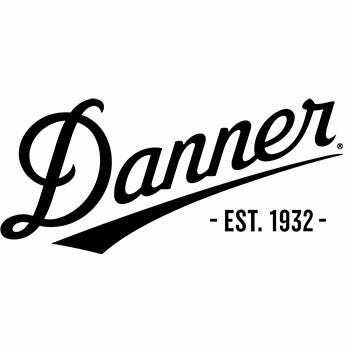 Triple-stitched for superior fit and protection, this premium Danner footwear is equipped with dual-purpose hardware. This hardware allows you to easily put these alloy toe boots on and take them off whenever you need to. They also feature Bi-Fit integrated shank system the provides you with maximum rigidity in the arch areas. This system also allows for flexibility in the front for easy strides and additional comfort. These 8-inch leather are also constructed with Vibram Olympia oil-and-slip-resistant outsoles that provide you with the utmost traction. This traction is designed to keep you on your feet, no matter what terrain you are working on each day. In addition, alloy toes meet and exceed ASTM F2413-11 I/75 C/75 EH standards. These standards state that your work boots must protect your feet from compression and falling objects. Last, but not least, these gritstone shoes are manufactured with electrical hazard protection ASTM F2892-11 EH. That way you can work safely around some open circuits and wires, which makes these EH boots ideal for electricians and anybody who works around such potential workplace hazards. So strut your stuff in these Danner Men's 14222 Black Gritstone 8-Inch Waterproof Alloy Toe EH Work Boots. Whether you're working on a construction site or in a factory, this premium waterproof EH alloy toe footwear provides you the support and durability you depend on each day. Go ahead and order your pair online from Working Person’s Store today. Your feet will thank you! Danner Boots: Men's 14222 Black Waterproof Alloy Toe EH Gritstone 8-Inch Work Boots is being added to your cart.